How long can you stay on this diet? It depends when you reach the body fit that you really dreaming. Its your decision when should you stop. I'm doing this till I have the body I want, waiting for good progress. You just have to focus if you really want to end it soon or you can just continue it. I think it depends on your goal. If you achieved your goal and you think you can attain more then go for it. Just be sure that your goal is attainable and realistic otherwise you will have a hard time on your diet. Also if you are happy on achievement, its wise just to maintain it. 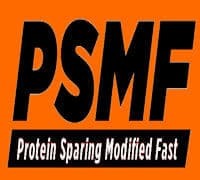 From the research that I’ve done, it seems that generally the maximum recommended period of time for PSMF is no more than eight months. This is the doctor recommended amount, and anything longer would require the guidance of a nutritionist or medical professional. It’s also going to vary depending on your starting weight. People with more body fat can generally stay on the diet for longer. In any case, after an eight-month period it’s generally recommended that you take a period of time to eat normally before getting back on the diet. Obviously if you’ve reached your ideal weight, you should then get off the diet immediately, and transition to a more balanced diet. This may be a stupid question but what is defined as a diet break? 1 week, 2 weeks, a month? Just curious. Cat 3 here looking to start once I’m don’t with the CrossFit open so just trying to plan ahead. Tyia. Thank you. I know it says every 6-12 weeks, but I didn’t state my question very well. What I meant to ask is how long is a diet break? A day? A week? 2 weeks? That was what I was looking for and I can’t seem to find it in either PSMF resources that I have.